I no longer have to choose between harmful sun rays or chemicals. I hate using chemicals on my skin not only for the dangers but as they irritate my skin. So when it came to protecting my skin from the sun, I would only use sunscreen when I went swimming. I would take chances with my skin when I would go out running and not wear sunscreen. I hated that I had to make a choice of putting irritating/dangerous chemicals on my skin or expose my skin to harmful UV rays from the sun. When I discovered Goddess Garden two years ago, I was excited to learn that I could protect my skin from the sun without chemicals. I was even happier the first time I applied this natural safe sunscreen on my skin when I went swimming and it protected my skin! I did not get sunburned. Goddess Garden is now my choice of sunscreen for the whole family, especially when we go swimming. 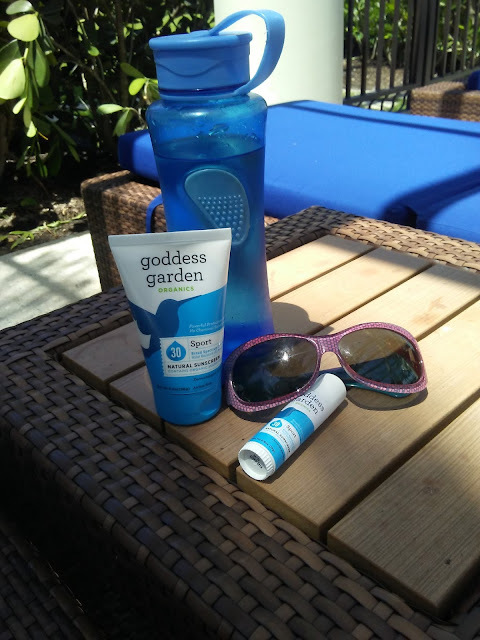 So when I met with Goddess Garden last December at a healthy/natural/eco-friendly conference, I was excited to learn that they expanded their sunscreen line to include wonderful natural Sun Repair options for the face. These were products that get me excited about applying sunscreen to my face, especially in the winter. I admit I tend to get lazy about sunscreen in the winter as my most of my skin is covered up (not my face though) and the sun is not that bright so I just did not need sunscreen. Well, I was wrong as the damaging UVA rays can go through clouds and are just as harmful in the winter as the summer. So my excuses/laziness and just plain hating the way sunscreen felt on my face was harming my skin and could be the cause of those fine lines around my eyes and neck. Only sunburn risk is reduced in the winter. Aging, damaging rays are strong year ‘round! I am happy to say thanks to Goddess Garden that I am now protecting my face from the sun when I go out running every day. This vitamin loaded Under The Sun Pre-Sunscreen Serum prepares my face by making it smooth and soft so that my mineral sunscreen goes on smoothly. I now don't even notice my mineral sunscreen on my face. Love, love that the Face The Day Sunscreen & Firming Primer has no yucky typical chemical sunscreen smell and has ingredients in to repair my skin from the sun. It is simply a win/win for me. I keep both bottles next to my computer so that I remember to apply them before I go out the door. No more excuses for me! All those moments in the sun can add up over time and accelerate skin aging. I love that Goddess Garden offers safer products to help reduce these signs of aging without chemicals. Goddess Garden has many different products in their Sun Repair line/system that lets you press pause on skin aging and even repair the damage! You even get a chance to win two products from the Sun Repair system. So what are you waiting for? Stop making excuses with protecting your skin from the sun. You no longer have to choose between chemicals or sun damage as you can protect your face from those harmful sun rays with a natural safe effective mineral sunscreen. To see the whole line of Goddess Garden Sun Repair and to learn more, visit the below links. One Lucky Reader will Win a Goddess Garden Face the Day Sunscreen & Firming Primer and an Under the Sun Pre-Sunscreen Serum! Just enter on the form below. Good Luck! I would like to try Garden Under the Sun ... I could use this. I would like to try the baby sunscreen stick. I would also like to try the GODDESS GARDEN BRIGHT EYES – Firming Eye Cream. I would also like to try the GODDESS GARDEN ERASE THE DAY – Mineral-Removing Cleanser. I would like to try GODDESS GARDEN DREAM REPAIR. I would like to try the Gentle Cream Cleanser. I would love to try the bright eyes firming eye cream. I'd like to try the Bright Eyes firming eye cream. I would try GODDESS GARDEN FACE THE DAY – Sunscreen & Firming Primer. I definitely need to be better about taking care of my skin. I want to try these. am obsessed with eye creams.i would love to try bright eyes firming eye cream. I would love the full GODDESS GARDEN SUN REPAIR SYSTEM. It sounds absolutely wonderful and perfect for summer! I love natural products. I would also like to try the GODDESS GARDEN BRIGHT EYES – Firming Eye Cream for sure. 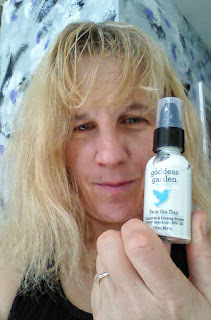 I would like to try the Goddess Garden Everyday Natural Sunscreen Lotion. I would love to try the Gentle Cream Cleanser! Who wanted to put chemicals on the face hoping that it helps but it only damages the skin. Big thanks that Goddess Garden expanded their sunscreen line and produce natural sun repair options for the face. No chemicals? I am sold. I've been switching to organic and all natural products because it's safer and it's perfect for sensitive skin. This is a new brand for me to try! Looks like awesome products to try! I would love to sample the Goddess Garden Face the Day Sunscreen & Firming Primer. We can't stop aging, but we can do something so we don't look so old and wrinkly before our time. I have never heard of this brand, but I would love to give it a try! I would love to give this brand a try! Especially the sunscreen, it would be great for my kids. I haven't heard of the Goddess Garden before, but I will definitely look into them more now! I love natural beauty brands, especially when it comes to sunscreen. I would love to try the Morning Chai Organic Aromatherapy blend. I would like to try the Organic Blood Orange essential oil. It's so hard to find a sunblock that ACTUALLY doesn't hurt your skin more than the sun's rays. Thank you for introducing me to this product. I'll have to take a look at it for my family and me. I would like to try their lemon essential oil. I am into that scent right now. So so so important! I'm in the medical field and people don't understand how 80% of skin cancer is from the suncreen they use! I want to try the GODDESS GARDEN DREAM REPAIR – Sun-Repair Night Cream. I would love to try the Goddess Garden Fresh Start Cleanser. I'd like to try the GODDESS GARDEN DAY UNDONE! 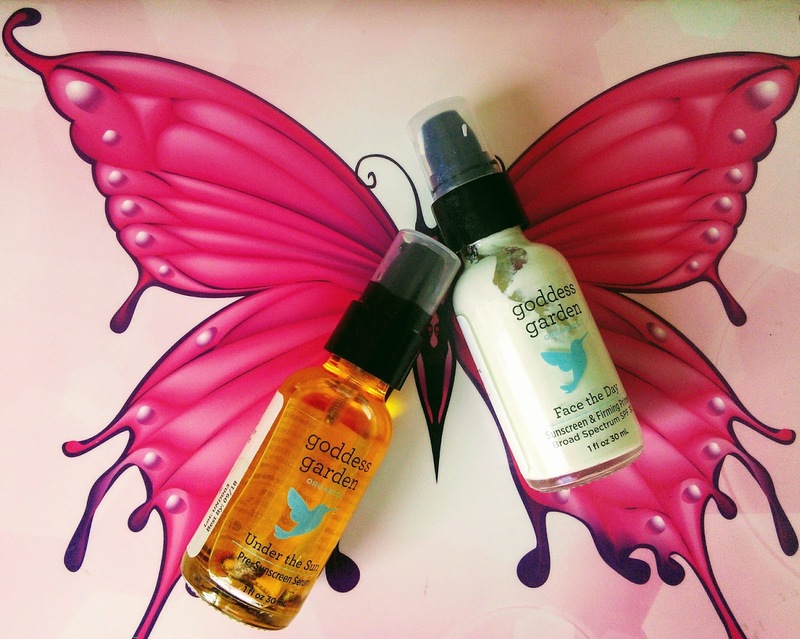 GODDESS GARDEN SUN REPAIR SYSTEM – Evening Set looks really nice and might help out my skin. I'd like to try GODDESS GARDEN FRESH START – Gentle Cream Cleanser. I'd also like to try the GODDESS GARDEN BRIGHT EYES – Firming Eye Cream. Thanks! I'd like to try the Sun-Repair Night Cream. GODDESS GARDEN BRIGHT EYES to help my aging skin. I would love to the GODDESS GARDEN SUN REPAIR SYSTEM – Full Set. I would like to try the Goddess Garden Fresh Start Fresh Cream Cleanser. I want to try the full set of Goddess Garden sun repair system. I would also love to try the GODDESS GARDEN DREAM REPAIR – Sun-Repair Night Cream! I would like to try the GODDESS GARDEN FRESH START – Gentle Cream Cleanser. I'd also love to try the Baby Natural Sunscreen (I have a two year old and a baby) and the Aloe-Vera After Sun Gel. This is the first I've heard of this company. They have a lot pr products that I want to try. I think I will like the GODDESS GARDEN ERASE THE DAY – Mineral-Removing Cleanser. I would like to try the Bright eyes. I have dark circles being a stay at home mom of 4. I would like the GODDESS GARDEN DREAM REPAIR – Sun-Repair Night Cream. I'd like to try the GODDESS GARDEN FRESH START – Gentle Cream Cleanser.